Carrie Sechel is an entrepreneurial business consultant, speaker, and the bestselling author of BASE Jump: Finding Yourself in an Unfulfilling Professional World. Before creating her business, Carrie spent 18 years in public accounting, including seven years as a partner with Deloitte. Carrie always knew she wanted to start a business at some point, but she struggled, and her fear of leaving Deloitte was so great that she nearly broke down before finally deciding to move on. It was hard work to break away from the vision of success that she had been raised to believe. How did Carrie redefine success for herself, build a thriving entrepreneurial consulting business, and write a bestselling book within two years of leaving Deloitte? She connected her knowledge and experiences to her passion to create the life that she wanted to live and aligned her business vision with her life vision. Now, she is driven to help others to do the same. Carrie fell into public accounting because she liked working with a variety of clients, learning about many different business issues, understanding how tax impacted those businesses, coaching her clients, and coaching her people. But after being in public accounting for 18 years, she needed to look at really where things were going. She asked herself, “What am I creating here at Deloitte? What does that look like? And is that what I’m here to create?” She came to the conclusion that she wasn’t going to find that thing in the various potential partner paths in public accounting. I know many of you have had that same thought, but a lot of people don’t really realize the barriers that one goes through when going from employee to entrepreneur. As an entrepreneur, Carrie is able to guide people and help them make this transition a little more easily. There are still big barriers, but with a little help and a plan, they’re a little less daunting. This takes the form of Power to Pivot, Carrie’s system to take people through those initial steps to go from this chaotic not knowing feeling to just knowing. “I see so many people going out and buying a franchise, or buying a shop, or a business that already exists. And several years later, they’re just as miserable. And, actually, sometimes, more because they never honored what it is that they are truly meant to create. It’s finding that, creating that big vision, and then planning for it. You can learn more about Carrie’s system in her free on-demand training session called Authentic Ambition: How to Create a Post-Corporate Life You Love Full of Abundance, Creativity, and Joy. She goes through the system in detail and offers some very specific items to think about, so you can start exploring your options right now. Carrie Sechel: [00:00:00] No matter how successful you are in the corporate world, going out and doing something on your own, that your business is always a reflection of you. Your business is you. And you’re selling you. And you’re defining what you’re creating yourself. And all those things are infinitely exciting and infinitely terrifying. 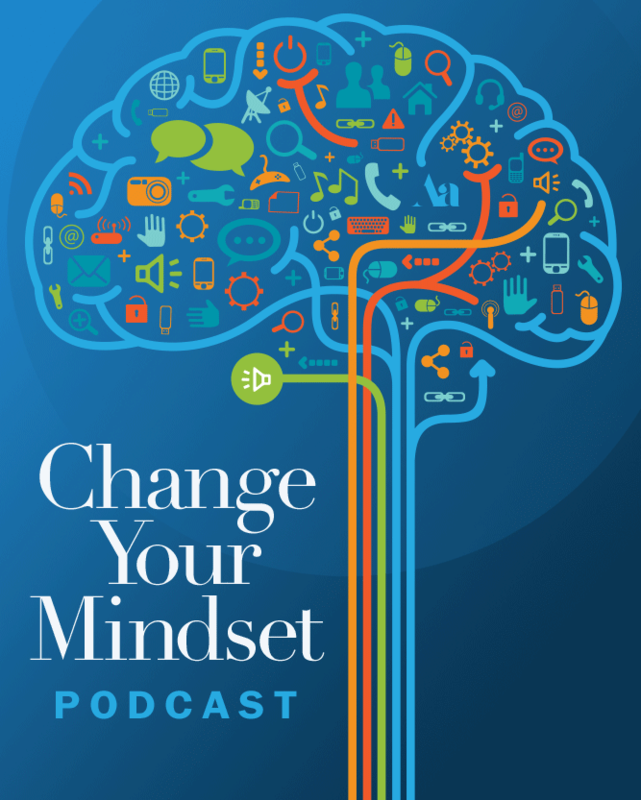 Peter Margaritis: [00:00:38] Welcome to Change Your Mindset Podcast, formerly known as Improv is No Joke where it’s all about believing that strong communication skills are the best way in delivering your technical accounting knowledge and growing your business. An effective way of building stronger communication skills is by embracing the principles of applied improvisation. Peter Margaritis: [00:00:59] Your host is Peter Margaritis, CPA, a.k.a. The Accidental Accountant. And he will interview financial professionals and business leaders to find their secret in building stronger relationships with their clients, customers, associates, and peers, all the while growing their businesses. So, let’s start the show. Peter Margaritis: [00:01:26] Welcome to Episode 16. And my guest today is Carrie Sechel. And she is an entrepreneurial business consultant, speaker, and bestselling author of the book, BASE Jump: Finding Yourself in an Unfulfilling Professional World. Before creating her business, Carrie spent the first 18 years in public accounting. Now, during this time, she mentored and consulted with hundreds of professionals and businesses. And for the last seven of those 18, she was a partner with the accounting firm, Deloitte. Peter Margaritis: [00:01:58] Carrie always knew she wanted to start a business at some point, but she struggled, and her fear of leaving Deloitte was so great that she nearly broke down before finally deciding to move on. It was hard work to break away from the vision of success that she had been raised to believe. 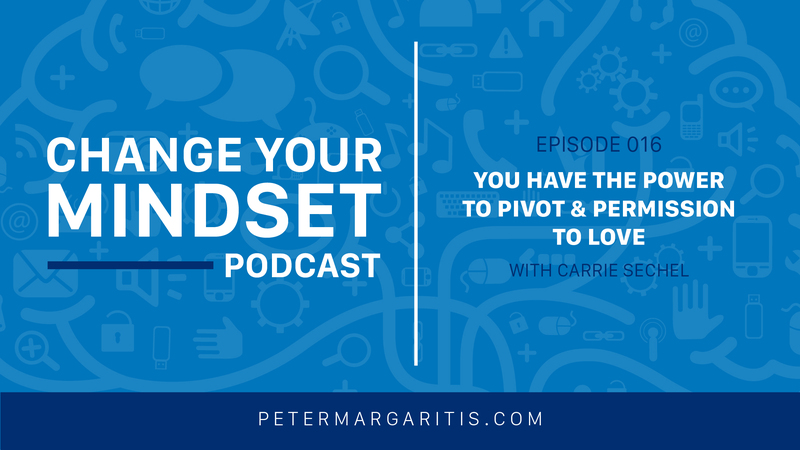 Peter Margaritis: [00:02:17] How did Carrie redefine success for herself, and built a thriving entrepreneurial consulting business, and write a bestselling book within two years of leaving Deloitte? She connected her knowledge and experiences to her passion to create the life that she wanted to live and aligned her business vision with her life vision. Now, she is driven to help others to do the same. Listen to her story and see if it resonates with you. I bet it will. Peter Margaritis: [00:02:46] In November, I spoke to the Hospitality Financial and Technology Professionals Association in Albuquerque, New Mexico. The topic of my presentation was my book Taking the Numb Out of Numbers. They loved it. And Lydia Frank sent me this testimonial, “Peter’s presentation was enjoyable and solicit good questions by the group. I mean, we all have to give presentations from time to time. Peter’s ability to make a dull subject interesting is his true gift. And I would recommend him highly to bring a different perspective to annual conventions, regional meetings, or executive retreats. I would also recommend his latest book, Taking the Numb out of Numbers, as a learning tool for financial management trainees.” Excellent. Thank you, Lydia, for that testimonial. Greatly appreciate it. Peter Margaritis: [00:03:34] And Taking the Numb out of Numbers will transform your ability to communicate technical financial information in a greater context through analogies, metaphors, and storytelling. Put another way, translate complex financial information into plain English, so your audience will gain a deeper understanding. The book is available on Amazon, in paperback, and in Kindle. So, stop what you’re doing, and buy it today, and begin taking the numb out of numbers, or as Ryan Parker, CEO of Endicott Clay Products, said, “Taking the ick out of the brick.” So, without further ado, let’s get to the interview with Carrie. Peter Margaritis: [00:04:21] Welcome back, everybody. I have Carrie Sechel with me today. I’m really excited about this interview because I think you’re going to get blown away. I’m going to let Carrie tell you about her background. But, I think, her background, in essence, of being in the big four, and in what she’s doing now, and how she got there is really going to resonate with a lot of you out there in my audience. So, first and foremost, Carrie, thank you for taking time, as an entrepreneur, out of your very busy day to spend some time with me, and welcome to the podcast. Carrie Sechel: [00:04:50] Thank you so much, Peter. It is awesome to be here. Peter Margaritis: [00:04:54] And just so everybody knows, we met, we go back maybe six months. Carrie Sechel: [00:04:59] Yeah, about that. Peter Margaritis: [00:05:00] It might have been about that. Carrie wandered her way into an NSA Ohio Chapter meeting. And I don’t think we were sitting next to each other, but somebody called me over. It was Jack Park who called over. He’s all excited, “Another CPA, another CPA.”. Carrie Sechel: [00:05:11] We tend to congregate together, right? Peter Margaritis: [00:05:19] Yeah, exactly. And when we started talking, you’re telling me your story, I said, “Oh my god. This would make such a great podcast.” So, give everybody an essence of your background. Carrie Sechel: [00:05:30] Sure. So, I always like to start this with a little funny tidbit. When I was 7 years old, my parents took me to the beautician, and the lady asked me, “Carrie, how do you want your haircut?” And I said, “Like Tom Brokaw.” And that’s really funny because I have really big curly hair now. Peter Margaritis: [00:05:51] Yes, you do. Carrie Sechel: [00:05:52] So, thinking back to that, it was really funny. And then, I begged my parents to buy me this little suit dress because when I was seven, I had this picture in my mind of what it was that success was. And I was absolutely convinced I was going to do something amazing with my life. And I figured my hair, like the guy on TV that I saw every night talked about the news, and a suit dress, like the people I saw with briefcases going into buildings looking like they were doing important things, that was going to set me off on the right track. Carrie Sechel: [00:06:25] So, I told people that for a couple of reasons. Number one, I always just had this thing inside of me that said, “I just want to live this life and do something really awesome.” And I, also, was looking around and looking for definitions of success that I could, in my life, use all models and model after to find this awesome thing that I just knew in my heart I had, and I didn’t know what that was. Carrie Sechel: [00:07:05] And I went to school. School was hard for me in some ways when I was younger, but I looked around and found that working really hard and getting things done was a way that I was able to, no matter how hard things were, what challenges I had, I was always able to rise to the top and make things happen. And when I went to college, I wasn’t really sure, honestly, what I was going to do. Carrie Sechel: [00:07:35] And there were — Back then, I was in college in the early ’90s, and there was no internet. It was the menu choice of 10 different things: doctor, lawyer, accountant, teacher, nurse, engineer. Those were the things that that were “successful careers.” And I chose accounting. I didn’t like auditing at all. I thought, “Gosh, this just doesn’t seem like me.” I want to be with people. I want to help people with their businesses. Carrie Sechel: [00:09:22] That was the answer. So, I said, “Okay. Well, I can go to one of those big accounting firms. I know I can get a job there because I understand the cultures. I know people there. I got this tax thing. I like it. I can feel passionate about it. So, I know my path. So, that was how it started. And when I was at the end of Law School, because I did finish Law School and my Master’s in Tax, I just interviewed with accounting firms, and I started my career with Arthur Andersen. Peter Margaritis: [00:09:56] Oh, there you go. Carrie Sechel: [00:09:59] That was really an interesting character-building experience. Peter Margaritis: [00:10:04] Yeah. I would say it’s probably a very well put, but you’re another one of those Andersen people that I have met that have — When we say Arthur Andersen, most people have this opinion, which is not the greatest. But that was just a few people within the firm. There are so many other people that are just awesome, like yourself, to be around, and to get to know, and stuff. So, please. Carrie Sechel: [00:10:28] Yes. So, one of the things people ask me, “What was it like to go through?” Because I was there until the end. And I always tell people that all of my years of business, what I saw at the end of Arthur Andersen were some of the best reflections of people that I can remember in all the years I did business and public accounting in really large companies and consulting firms. When you go through something like that, you see people’s true colors come out. And I have to say that I saw really good colors. Carrie Sechel: [00:11:02] And that’s something that so many of the people, the partners, the people who are employed there, just people looked at it like, “Oh, you’ve got to all be a bunch of crooks or something.” And we just saw people being really good to each other, and helping each other, and making decisions based on something other than power, money, making decisions based on what was right for their families, helping people make decisions that were right for them and not for anybody else. And that was really spectacular. Carrie Sechel: [00:11:39] Like I said, it was a great character-building experience. I was early in my career. I didn’t have any capital payouts that I loaned that I needed to repay or anything. And I ended up, after that, going to Deloitte. And that was also a fantastic move for me. And I ended up, I was at Deloitte then for 14 years. Peter Margaritis: [00:12:04] So, in total, how long were you in the accounting profession? Carrie Sechel: [00:12:05] For 18 years. Peter Margaritis: [00:12:07] Okay, for 18 years. And at Deloitte, you were a partner for how many years? Carrie Sechel: [00:12:13] Seven years, yeah. Peter Margaritis: [00:12:14] Seven years. Peter Margaritis: [00:12:14] And what office of Deloitte? Was it Cleveland? Was it Akron? Carrie Sechel: [00:12:19] I was in the Cleveland office. Peter Margaritis: [00:12:20] Cleveland office. Carrie Sechel: [00:12:21] Yeah, but I traveled. I was based in the Cleveland office. But I’d say, the last seven years, I was in different areas. I was in India for two years. I ran a practice that was based primarily out of Chicago for several years. Peter Margaritis: [00:12:39] Okay. So, you were traveling a lot. You’re on a variety of different places. Yes. Carrie Sechel: [00:12:44] Indeed, indeed. Peter Margaritis: [00:12:44] But then, something happened because you’re not there anymore. You’re out on your own. You’re a true entrepreneur. Peter Margaritis: [00:12:55] What was this turning point that you decided, “I got to do something completely different”? Carrie Sechel: [00:13:04] Yeah. So, I never loved doing tax returns. So, confession here. Peter Margaritis: [00:13:13] I’m laughing because I was in tax as well. And the story you said about doing the — They let me do one audit, and they never let me come back. I think I did it on purpose, so I wouldn’t have to go back to auditing, but I never really do like it. Yes. That’s why I’m laughing. I’m reflecting. Carrie Sechel: [00:13:28] Yes. I never really loved tax returns. And what I did love in public accounting was working with lots of different clients, understanding lots of different business issues, understanding how tax impacted those, coaching my clients, coaching my people. I did some very different things in the firm. I was the chief of staff for the partner who was in charge of the real estate practice for the entire US firm for both tax audit, consulting, financial advisory services for the whole thing. Carrie Sechel: [00:14:02] I got to go to India for two years. And when I was in India, I helped run the offshore practice for the US tax practice that was, at that point, very small when I went over there, and it grew tremendously during that time. And that was a fantastic experience. So, I got to do all these different things that weren’t really tax. Carrie Sechel: [00:14:28] And there were a few points in there when the little seven-year-old girl came back and said, “Carrie, is this really that awesome thing because I’m not sure that it really is? There’s something else. You’re supposed to create something yourself.” And every time that came back, there was something huge that happened. And it was obvious that it wasn’t time yet. There were some other really impactful experiences I was meant to have in public accounting. Carrie Sechel: [00:15:00] One was the chief of staff, while another was going to India. Each time that happened, I said, “No, this isn’t the time.” And then, the last time it happened, I had been a partner for six years, and I was leading a massive, massive outsourcing engagement. I was leading a practice that I helped build from nothing. People would look at it and say, “Wow.” Like, “She’s like she’s got this amazing amount of potential in the firm,” because of what the opportunity that I had there and what it could build into. Carrie Sechel: [00:15:39] I was looking at it saying, “This is great.” And I’ve met so many amazing people. And I’ve coached and mentored so many awesome people who are doing just so well. I worked with so many businesses. And I need to look at really where this is going because as a partner, you go in various directions. What am I creating here at Deloitte? What does that look like? And is that what I’m here to create? And I came to the conclusion that I wasn’t going to find that thing in the various potential partner paths in public accounting. Peter Margaritis: [00:16:21] So, as you’re coming to this conclusion, were you thinking about looking for another employer, or did you know that you want to go out on your own? Carrie Sechel: [00:16:33] I knew that I wanted to create a business of my own. Peter Margaritis: [00:16:38] Okay. So, you’re going from a very stable cash flow, personal cash flow with benefits and the thing called health insurance, which is a great big barrier to entry into entrepreneurialism with risk but not the same amount of risk that you’re about to take on. Peter Margaritis: [00:17:00] How many times did you go, “Well, maybe I should do the risk adverse thing,” or did you just know that, “I got to go. I got to go create this thing”? Carrie Sechel: [00:17:16] It took me a while. And my husband is also self-employed. And at that point, I was really the sole breadwinner in the house. And it took a huge amount of turmoil for me to get to the point where I just realized I had to do this. I got near to a breakdown, frankly. Carrie Sechel: [00:17:39] The bigger challenge, and this is why I tell the story about the seven-year-old Carrie who wanted the haircut and the suit dress, because I had been modeling a version of success that I had seen throughout my life. And I was living this version of success that I had been raised to believe, and I needed to redefine what success meant to me and find success in a way that meant I would have to humble myself for a while. I would have to take a pay cut for a while. I would have to create something of my own that, at that point, I didn’t know what it was. And those were huge mental barriers to break through. Peter Margaritis: [00:18:39] I think a lot of people don’t really realize those barriers that one goes through from going from employee to entrepreneur. Carrie Sechel: [00:18:46] Oh, yeah. Going from the corporate world, the employed world, to entrepreneurship is, no matter how successful you are in the corporate world, going out and doing something on your own that your business is always a reflection of you. Your business is you. And you’re selling you. And you’re defining what you’re creating yourself. And all those things are infinitely exciting, and infinitely terrifying, and humbling. Carrie Sechel: [00:19:29] When I left Deloitte, I did not know what I was going to do. I didn’t know exactly what I was going to create. I had ideas. And in many ways, my business it, the seed was there, and it’s not very different than what I imagined, but it’s far better defined. And you go out. One day, you’ve got this business card on LinkedIn, you’re a Deloitte tax partner. And the next, you don’t really know. You had that dreadful title of “in transition” in which everybody thinks means you got fired. Carrie Sechel: [00:20:04] So, it feels really, really naked, and raw, and vulnerable. And that was terrifying. But I got to the point where I’ll never forget this, I was out at a client of mine and a client that I loved, a client I served for many, many, many years. And in all the years I’ve served clients, I can tell you the spectrum of stories from the best companies to companies that really, really did not reflect the values that I have. And this company is just off-the-charts awesome. Executive team, great people, great values, everything. Carrie Sechel: [00:20:48] And I was sitting there with my client for very many years. And I couldn’t get my head clear. And I’m thinking if I can’t feel good here with people that I really believe in, and a company that I’ve helped, and just feel so great about being part of their team, this just can’t go on. And I stopped the meeting, and I said, “I just don’t feel well.”. Carrie Sechel: [00:21:16] And I packed my things up, and I drove home, and I walked in the house, and I told my husband, “I can’t do it anymore,” and I have to leave at the end of the fiscal year, which, at that point, was 10 months away. And I said, “I can make it that long, but I can’t do it anymore. I have to do this. I have to go and create this thing that I don’t know what it is.”. Carrie Sechel: [00:21:40] And I’ll never forget my husband. I think a lot of overachievers imagine that part of the reason people love them and care for them is because of their achievement. And we tell ourselves these stories. My husband said, “Carrie, you’ve been so successful doing things that you don’t really love doing for so long. Imagine how successful you’re going to be when you’re doing what’s really in your heart, and you’re meant to do.” And that was like if words could be perfect in that moment, my husband really won the award that day. Peter Margaritis: [00:22:21] And still continues to win that award. Carrie Sechel: [00:22:24] Yeah. Right? Peter Margaritis: [00:22:26] Yeah, exactly. So, let’s let the cat out of the bag. What are you creating? Carrie Sechel: [00:22:33] Yes. So, I work with people who are in the corporate world or employed world and have in their heart this deep desire and deep need to create a business of their own, and I help them successfully do that. And it is awesome. Peter Margaritis: [00:22:59] Okay. I can just push you to this person, and they’re not liking their job, they want to do something else, but they might be trapped in a way. I’m assuming you have a lot of folks who — And I use the word trapped, where you are making a salary that is substantial. That pay cut would be huge. The benefits aspect of it, may have children, may have a mortgage, all of that rolled up into one big ball of fear or one big ball and chain. And you’re able to get them-. Peter Margaritis: [00:23:31] Because when they come to you, their ultimate goal is to get to that point that, “Yes, I can go. I can create. I can do. You’re going to teach me how you did it, and I’m going to make it my own.” I mean, that’s got to be extremely terrifying for them, but then extremely exciting as well. And when you get them across that finish line — I mean, folks, you can’t see this, but as soon as I said, “once I came across the finish line,” Carrie just had this huge smile on her face and her eyes are sparkly. And I went, “That’s passion right there,” because she sees what she’s creating is actually working. Carrie Sechel: [00:24:13] Yeah, it’s amazing. What I have in my heart is there are so many people in our world with an impact to make. So many people with a purpose that is being unanswered, and they feel it every single day. And it gnaws, and it gnaws, and it finds itself in lots of different places in not feeling great physically, in not sleeping, in relationships suffering, in mental turmoil constantly. And not only are they depriving themselves of this life that they can live but the world needs them. There is some impact that they are meant to make, and we need them. Carrie Sechel: [00:25:06] And when I look at my background, what I’m passionate about, my knowledge, my skills, when I can combine that all to help a person bring that out and understand to not only bring it out and define what that is because many times — and I went through this myself — we don’t know. You feel it, it’s there and you’re thinking, “I don’t even know what this thing is.” It is maddening. Carrie Sechel: [00:25:37] So, bringing that out, and defining it, and actually planning for it, knowing what you need to do, and when, and being able to block out the noise of all this other stuff out there because the entrepreneur world is huge right now. There is no shortage of people that are going to give a person who wants to create a business of their own advice and tell them what to do, and how to market, and all these different things. And many of those messages are totally appropriate at the right time. Carrie Sechel: [00:26:14] But what I find is people who are starting businesses, they listen to those messages far too early and spend lots, and lots, and lots of time, and soemtimes financial resources, investing in programs, and this, and that, instead of investing in where they are right now, defining what they’re doing, and in taking the proper small steps to scale in a way that builds a sustainable, thriving, and scalable business. And to be able to work with people to create that, and to see the vision of where they can take their businesses and their impact in the short term, but also 5, 10, 15 years out, what they are going to create is amazing. Peter Margaritis: [00:27:07] That is. I think a lot of those folks that you’re describing, “I’m tired of this job. Take this job. Put it someplace. I’m just going to go out and start a business tomorrow. I’ve saved up money. I’m going to go do this without, as you said, going through the process of understanding what it is I’m trying to do.” And I will also say, be careful what you wish for because it actually might come true. Peter Margaritis: [00:28:11] And I think that’s why you’re as successful as you are because, one, you’ve worked with a lot of businesses. You have an accountant, lawyer type of thought process that walks people through those steps that they’re not thinking about at the time that you do inherently knew that you needed to do because even the seven-year-old inherently knew what probably she needed to do, but she learned over time what to do, and putting them down that right path. And I can’t find it in my notes right now. I’m actually looking for it. But you’ve created a system. Peter Margaritis: [00:28:50] And remind me what the name is. Pivot, there’s a pivot word in it, correct? Carrie Sechel: [00:28:53] Power to Pivot. Peter Margaritis: [00:28:55] Power to Pivot. I think I was partially right. Carrie Sechel: [00:28:57] Yes, you got it. Peter Margaritis: [00:28:57] Power to Pivot. What’s Power to Pivot? Carrie Sechel: [00:29:02] Power to Pivot is my system to take people through those initial steps to go from this chaotic not knowing feeling but just knowing. They know they need to take action, they need to do something. But taking them through to create a vision, a concept, what they really are looking to do, something that truly honors what’s bubbling up inside of them. Carrie Sechel: [00:29:29] I see so many people going out and buying a franchise, or buying a shop, or a business that already exists. And several years later, they’re just as miserable. And, actually, sometimes, more because they never honored what it is that they are truly meant to create. It’s finding that, creating that big vision, and then planning for it. Carrie Sechel: [00:29:55] So, whittling it down to, “What are we going to do today? How do we take the right steps right now? How do you take those steps to get to that vision? How do you include your financials? We do financial assessments in here. What can you really do?” This isn’t about the Tarzan rope. This is about creating the plan for your life’s work, which means that, sometimes, I have a client that needed to do some work in this bridge period, but her corporate job would not. That wasn’t going to fit. And so, she’s doing some other freelance work while she builds her business. It’s about doing what makes sense to reach the goal instead of constantly sitting in life in the hamster wheel of feeling like you can’t get out. Carrie Sechel: [00:31:44] Exactly. And what is it that I’m constantly worrying about, and I’m allowing my mental energy to be focused on or thinking about that is not a problem of today. It’s not an issue for today. So, when I talk to entrepreneurs who have been in, I would say, struggling mode for a period of time, and there’s lots and lots people out there who took the leap and just can’t get their feet under them. I see a few different issues. Carrie Sechel: [00:32:23] But a couple of the biggest issues are, number one, they really don’t have a vision, and they don’t feel personally connected to what it is they’re trying to build in that purpose piece, that mission that takes you out of yourself and makes you feel responsible and accountable to the people you’re serving, that fuels you even when it when things are tough, it’s not there. Carrie Sechel: [00:33:15] And I love what you just described here, Peter, of the backtracking because it’s like, “Okay, I want to be out here, but I’m not there, and I don’t have a jet pack on me.” So, I’m here. And that can be a really humbling pill to swallow. But you got to swallow it because you’re never going to get there on cue unless you just focus on right now. And as you grow and evolve that, your vision expands, and it becomes richer, and you’re capable of so much more. Carrie Sechel: [00:33:48] But today, what do you need to do today that you aren’t doing? What do you not need to do today, you need to dump, and free yourself up to focus on what is really going to move you forward. This is all about taking action and making it happen. Peter Margaritis: [00:34:09] Would you agree with this statement, which most people think they can, but when they actually have to do it, they’re uncomfortable with selling themselves. Carrie Sechel: [00:34:22] Oh, yes. Hugely vulnerable. And one of the things that we — Any kind of shift from the employee world to entrepreneurship, besides the blocking and tackling of the things that you need to do to make it happen, there’s a huge inner game that goes on of believing in yourself and getting over the fact that you are going to feel really vulnerable and naked at times. But how do you trick yourself into feeling like you have to clothes on, and really go out there, and make things happen? Peter Margaritis: [00:35:06] Right. And I think a lot of people, we were just having this discussion yesterday at our NSA meeting with Eddie Turner. Somebody asked a question, “What’s the difference between confidence and cocky?” because that’s a very thin line. Those who can be loving themselves so much, and there are those who understand themselves, but they have that passion. It’s, really, they may be talking about themselves, but they’re really talking about how they can — I love the word — serve the person who are out there. Peter Margaritis: [00:36:15] That’s a big switch. It took a while for me to really pick that switch. And, sometimes, it goes back up and come back down in order to maintain that ability to convince people that what I have will make a difference in their lives. Carrie Sechel: [00:36:35] Well, Peter, let’s chew on that for a minute because a lot of times, it goes back to motivation. If a person is truly motivated out of love, and looking at another person’s situation, and saying, “I know I can fix that, and I am the best person to do that, and the reason I’m driven to do that isn’t just because it’s going to make me look good, or it’s going to fill my bank account, but it’s because I deeply care for that person, and it’s my responsibility to help them.” That’s a much different place than being motivated out of ego. Peter Margaritis: [00:37:20] And motivated by money. Carrie Sechel: [00:37:22] And money and ego. Carrie Sechel: [00:37:25] And that’s where we all have to check ourselves. Why do each of us make decisions? And hey, we’ve all got egos. And making a great living is fabulous. I love money, but what is the deepest motivator? And if the motivator of love, and compassion, and empathy aren’t there, you have to really examine it. Carrie Sechel: [00:37:52] And I use love a lot. And I think love in business is one of the biggest things people miss. and one of the most powerful, powerful business tools. I mean, it’s a tool, but I feel like it’s part of the business equation that we’re missing. And it’s hurting businesses because they’re missing that part or that piece that’s driven by something else. Carrie Sechel: [00:38:25] And, particularly, for people who are creating a business of their own, having love to be part of that equation is one of those powerful, powerful tools that overcomes a vulnerability, that naked feeling, not feeling like you can’t sell yourself because when you’re doing it because love others, and you care so much about helping them solve their problem, it changes the game completely. Peter Margaritis: [00:39:00] It really does. And as you say, this is funny because this exercise we were doing yesterday asked what do we want to get out of that session, and a lot of people, it was related to, “How can I monetize this? How do you monetize this?” And I wrote down, “I want to become a better facilitator, so I can help increase one’s retention.” There’s no money. Peter Margaritis: [00:39:30] And as we’re sitting there and talking, I realized, “I need to write the word ‘money’ down.” And so many yesterday had money. That was the top reason, which I’m probably reading way too much into that, but that, now, it is. It’s about love. Do you love what you do? Do you love the people you serve? And that’s the word. It’s we’re there to serve. Carrie Sechel: [00:39:56] And, also, do you love yourself? Peter Margaritis: [00:40:02] Yeah, yeah. Carrie Sechel: [00:40:03] And that’s a biggie for any entrepreneur in being able to truly love yourself and believe that you’re worthy of being compensated for your services. I talk about love a lot with my clients because it’s something that’s so foreign in the corporate world, and it’s so important as an entrepreneur. Peter Margaritis: [00:40:31] Yes. You can’t be an entrepreneur. You can take all the great stuff that you’ve learned in the corporate world, but you got to have love. You’ve got to understand to feel. You really have to have a really strong emotional intelligence on yourself and on others to be successful. Peter Margaritis: [00:40:50] And so, a lot of that is missing. In a lot of corporate America, it’s driven by the bottom lines of my shareholders. It’s driven by the “Me, me” factor versus “How can we help someone?” And I think that’s why I gravitated so much towards NSA and from a chapter because it’s all about helping the other person. We may be in the same business, but I’ll give you all the tools and techniques I used to become successful, and I can help you become successful. It just keeps expounding from that from that aspect. Peter Margaritis: [00:41:23] And I share this with other organizations. I go, “Really? Aren’t you worried about competitions?” That never even comes into play. There’s a lot of room out there. This is great big world, but if we can help others seek their best, that is part of our mission. Peter Margaritis: [00:41:42] So, you worked a lot of hours when you were at Deloitte. Carrie Sechel: [00:41:48] Yes, I did. Carrie Sechel: [00:41:55] Oh, wow. Well, I am really good at working a lot of hours, which is something that’s a challenge for me. So, I have to, and I’m so thrilled with what I’m doing that I could fall into working constantly if I didn’t have other things in my life that are really important to me and so important to me that I make sure that they are equally honored. My family, my health, my spirituality, or experiences that I desire. Carrie Sechel: [00:42:34] But I I’m sure that I work a little bit less, but I have flexibility. And many times, when I’m doing work, it doesn’t seem like work because it’s my life’s work. It’s everything. It all sort of mashes together, and it’s great. Carrie Sechel: [00:42:59] For example, I have a client right now who has a very, very demanding position. And we do our calls on the weekends. Doing a weekend call before would have seemed — And I did lots and lots of weekend calls, and they were just not — I mean it’s horrible. Doing a call with an amazing person who is building a business and helping her move that forward, it’s like fine. I just coordinate it with all my other personal things, and we pick a time every weekend that works for both of us, and it’s great. It’s just it doesn’t seem like — It’s different. It’s what I’m supposed to be doing. Peter Margaritis: [00:43:50] It is. It’s just funny because people ask me, I go, “When I went full-time, I have not worked a day since.”. Peter Margaritis: [00:43:57] Ask my wife, I’m working 24/7. Peter Margaritis: [00:44:02] But that’s also part of entrepreneurship that a lot of people don’t realize. There is a dark side to it. And being obsessed and caught up, what’s the worst, you can lose friends because you’re not so much in touch with them anymore. It can wear on your health. And there’s a lot of dark sides to entrepreneurialism. So, anybody who gets into it really need to understand those. I didn’t quite understand them initially. Then, I did. And I worked very hard to when I have to turn it off. Yeah, I could shut it down. Carrie Sechel: [00:44:37] Learning to set your own boundaries. And people hear about the four-hour work week, and they see a lot of the messages you see on the internet of, “Oh, you’re going to be doing work from the beach, and never going to work another day, and money is just going to fall out of your computer,” or something. Carrie Sechel: [00:44:57] I mean, you can find a story and an example for everything, but when you’re driven by something that’s greater than just the paycheck, it’s a life’s work. And you may do work from the beach, and maybe you can have flexibility, so you can be at the beach and doing work, but you’re still doing work. It just feels so much different. Just, it feels right. Peter Margaritis: [00:45:35] I find it’s the hardest thing to describe, but it’s such the greatest feeling. It’s so hard to describe. It’s so hard. It’s like you’re looking at a picture going, “Oh, yeah.” But if you were to see this, it would look a lot bigger. It’s how I feel when I try to describe that that you can’t, but you know when you have it. Carrie Sechel: [00:45:54] Right. It’s wonderful. Peter Margaritis: [00:45:56] And you know how it fuels you, and you just recognize it, bottle it, and keep moving forward with it. So, honestly, I think I should pay you for allowing me to interview you because I got a little therapy today. I greatly appreciate the therapy. I got to reflect back and go, “Hmm, maybe.” But, no, I love this conversation. Actually, I could probably talk to you for hours on it, but I don’t want to mess up your long enough work there as it is. Peter Margaritis: [00:46:24] Before we end, how can people, the people who may listen — By the way, if you’re listening to this, and you have that that feeling, pull over if you’re listening to this in your car. Pull up aside, stop the car, and then just step out, just scream it out loud and whatever. But how can folks find you? Carrie Sechel: [00:46:43] Yeah, absolutely. So, there’s a few ways you can find me. One is I have a free on-demand training. You can do it any time that fits your schedule. It’s called Authentic Ambition: How to Create a Post-Corporate Life You Love Full of Abundance, Creativity, and Joy. And Peter is going to provide the link. You can go to that. It’s totally free. It’s on-demand whenever you want to take it. It’s 45 minutes. So, you can fit it into your day. That is a great first step. I go through my system in a bit more detail. And not only that, give you some very specific items to think about, so you can start exploring right now. Peter Margaritis: [00:47:32] I will have — I’m sorry, go ahead. Peter Margaritis: [00:48:08] And I will put that link in the show notes as well. Carrie Sechel: [00:48:14] Yeah. And you can also get a hold of me. My email is super easy. It’s Carrie@CarrieSechel.com. So, you’re welcome to e-mail me. You can find me on LinkedIn and Facebook. You can also check out my website, which is CarrieSechel.com. And yeah, I’d love to hear from you. Peter Margaritis: [00:48:37] And that’s Carrie with a C-A-R-R-I-E.
Peter Margaritis: [00:48:39] Yes. As you said though, I know a K-A-R-I. So, I want to make sure everybody gets it right, Carrie, the spelling there for you. Peter Margaritis: [00:48:50] And if you’re so inclined, one, go to the show notes, grab that link, download it, watch it. Actually, I think I’m going to too, but I’m also going to take it a step further. I know about three or four people I’m going to send it to. Carrie Sechel: [00:49:03] That’s great. Thank you. Peter Margaritis: [00:49:04] And do contact her. I’m sure she’d be willing to just have a brief conversation to find out what your goals are, what your ambitions are, and reach out to her. And Carrie, thank you again for taking time. Hopefully, our paths will cross here soon. You’ll come down to Columbus for maybe the November or January NSA meeting because I’d love to catch up some more. Contact me anytime if I can help you with anything. And it’s been a pleasure to get to know you. It’s been a pleasure interviewing you. And I wish you all the best. I don’t think I have to wish that. I just know that’s going to happen just based off of who you are. And congratulations on what you have built. Carrie Sechel: [00:49:49] Thank you. You, as well, Peter, thank you. This has been awesome. Peter Margaritis: [00:49:54] Thanks a lot. I want to thank Carrie for sharing with us that people can create the business they feel bubbling inside of them. And remember to watch her free training link at bit.ly/authenticambition, all one word. That’s bit.ly/authenticambition. Peter Margaritis: [00:50:13] In Episode 17, my guest is Stephanie Feger, who’s the author of the recently published book Color Today Pretty. She has a wonderful message to share as we begin to move into 2019 and into busy season, or as I prefer to call it, opportunity season. Peter Margaritis: [00:50:34] Thank you for listening, and begin the process of changing your mindset, and getting out of your comfort zone, and developing new skills to become more future-ready. Your call to action, again, is to take one hour a week to think about what you need to do to become future-ready, what new skills do you need to begin to learn, so you can begin to transform your career and be future-ready. Peter Margaritis: [00:50:58] Remember being part of future-ready is being an improviser, and being an improviser is someone who’s willing to take risks in order to grow. Thank you very much for listening, and please share this episode with a friend.